Want help studying but can’t afford a tutor? 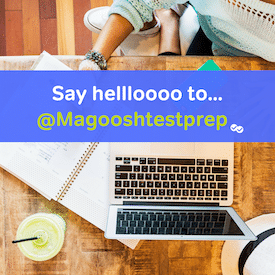 First of all, you have the Magoosh MCAT Blog to use as a resource! (You’re here right now). You can also take a look at these other free Miller Analogies Resources. This website has several groups of practice analogies. The bonus feature is that each question has an answer with an explanation ready to view. If you are new to analogies, this is a good way to learn how the relationships can be determined between the four terms. Be advised that the free information is brought to you by advertisements in the margins, not uncommon but may be distracting. Similar to the previous resource, Test Prep Review offers an explanation along with the answers to the analogies but in a list at the end of the practice test. This also has some ads on the website along the right sidebar. However, it also contains a link to the following page which is another good free Miller Analogies Resource. This is a good place to start to learn the format of the questions, how the analogies are put together, and ways to identify them. There are also practice tests available on this website along with the requisite ads interspersed with the material. Study Guide Zone also offers basic Free Miller Analogies resources; an explanation of the exam and practice tests. The answers offer very short, pointed descriptions of the terms and how they are related but do not go into detail. If you are already comfortable with the format of analogies but want practice in determining logical relationships or want to get your mind thinking along those terms, go ahead and try these “workout” questions from Mensa. While they are not a qualifying determination for membership (although the MAT can function as such, read about Taking the MAT for Mensa), these questions will exercise your mind and challenge you to think in very logical and structured ways. This puzzle site will entertain as well as exercise your brain. It might be just the thing to take a break from all the wordy analogies and jog your brain into thinking along different lines. There are more places to go for help studying for the MAT. You can find more from Top 5 Free Online Miller Analogies Test Resources. Just remember that practice makes progress and any studying you do will pay off in the end.